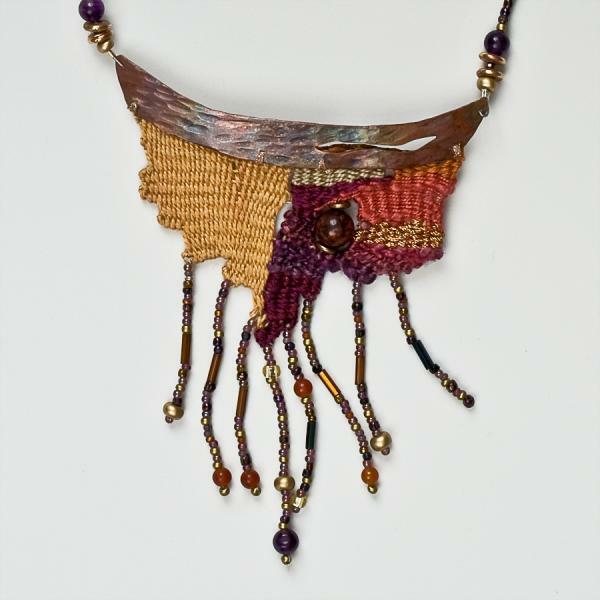 Thalia Keple will be featuring her woven jewelry in her studio – #8 upstairs at AAC – during the month of April. Thalia is an accomplished fiber artist, who has been working with the medium for over 40 years and has been dedicating the last 14 to it nearly full time. Her intricate needle woven jewelry pieces are miniature tapestries, mixed with beads and metals. Her eye for color and flair for drama make her pieces very desirable and being light weight and soft, they’re very comfortable to wear. 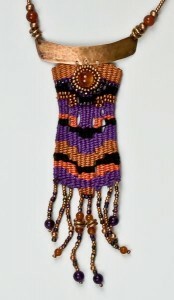 She will be discussing her work with visitors during the First Friday Art Walk, April 6, from 5 – 8 pm. Featured music will be live a capella harmonies by Jane Sterling and Jacquelene Ambrose. Join us for their sultry, heartfelt familiar songs. Art and Artists on all three floors of the Art Center!